The Franklin mountains is the only state park that is within the city limits here in El Paso Texas. The race begins at the Mckelligon Canyon (Park HQ) south of Transmountains and traverses to the North side which is the Tom Mays Unit. 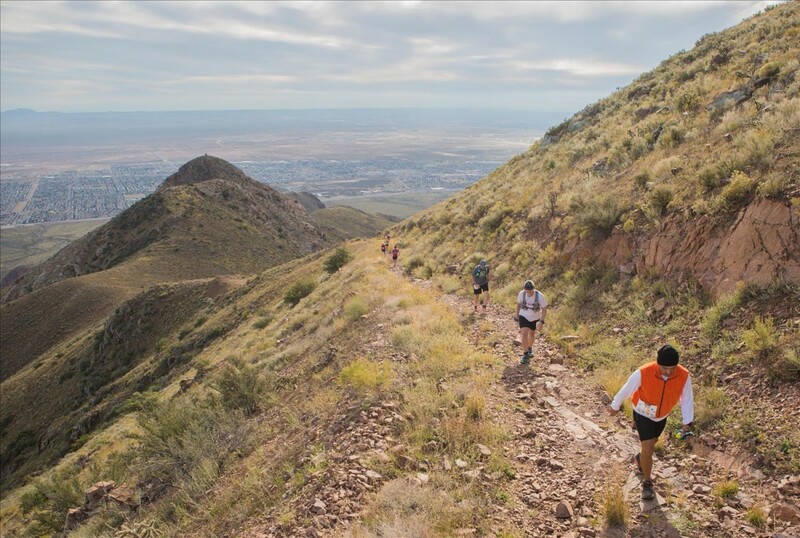 The race runs from 5000' to the peak of 7192' and you will be able to see both New Mexico and Mexico along the journey. 203.3 miles and up to 108 hours on the Southern Most tip of the Rocky Mountains. You will traverse both the South and North Franklin mountain on your journey. Start to South Sunset pavilion = 12.3 mile opener; 4070 ft. of climb. Then the five 38.0 mile loops with ~9400 ft of climb each. Loop #1 total: 50.3 miles; 13,400+ ft.
Loop #2 totals: 88.3 miles; 22,800+ ft.
Loop #3 totals: 126.3 miles (202.4 K); 32,200+ ft.
Loop #4 totals: 164.3 miles; 41,600+ ft.
Loop #5 totals: 202.3 miles; 51,000+ ft.
126.3 Miles (203K) and up to 107 hours on the Southern Most tip of the Rocky Mountains. You will traverse both the South and North Franklin mountain on your journey.